Some would argue that it's just simpler to buy a carton of almond milk at the store. But they've never seen how simple it is to make almond milk at home. It's really not so much effort for a fresher, healthier version. The steps below will look like a lot, but in actuality, they probably take no more than 10 minutes total. First let's discuss why you should make it versus buy it. Cartoned almond milk is not just almonds and water. There are extra ingredients to thicken and stabilize the milk. Such things as locust bean gum, gellan gum, sunflower lecithin, d-Alpha tocopherol (Vitamin E), Zinc gluconate, Vitamin A palmitate, Riboflavin, Vitamin B12, and Vitamin D2. Why would you want these additives when you don't need them? Another reason would be the cost. It really is more cost efficient to just make it as you need it. In Sacramento you can find raw almonds for $5-10 a pound at the farmers market. That pound of almonds could easily make a gallon+ of almond milk, depending on how thick you like it. There are two things you will need to buy before you begin. Almonds and a paint strainer. Paint strainer? You will need to strain the milk and you could buy a nut bag at a health food store to do that. But it's cheaper and basically the same thing to buy a paint strainer bag from the hardware store. They come in quart and 5 gallon size. You just need the smaller bag. 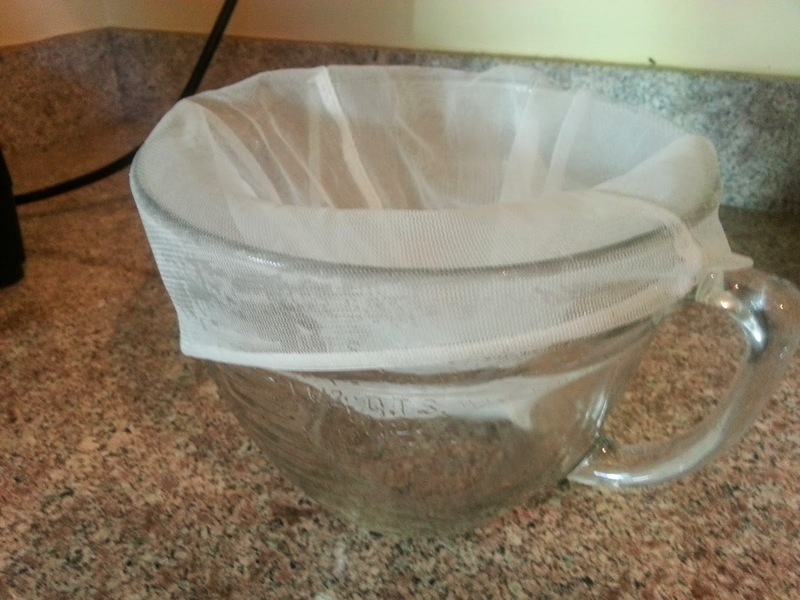 I like to take an added step of boiling the bag right before I make my milk to make sure it is sterilized. Also be sure to wash your hands well before squeezing out the milk. Making the milk does take a couple of days simply because the first step is soaking the almonds. So step 1 is simply putting the almonds in a bowl or jar and covering with tap water. You leave it out for overnight to 2 days. Apparently the longer the nuts soak, the creamier the milk will be. Why do you soak almonds? To release all the bad stuff that will keep you from absorbing the nutrients. Almonds have tannins and enzyme inhibitors that need to be flushed away. When an almond drops from a tree to dry ground, it doesn't automatically start growing. In fact, it could sit in the dirt for months and not do a thing. That's because they are coated with tannins that naturally protect the seeds so that they will sprout in the right season - spring, after the rains. 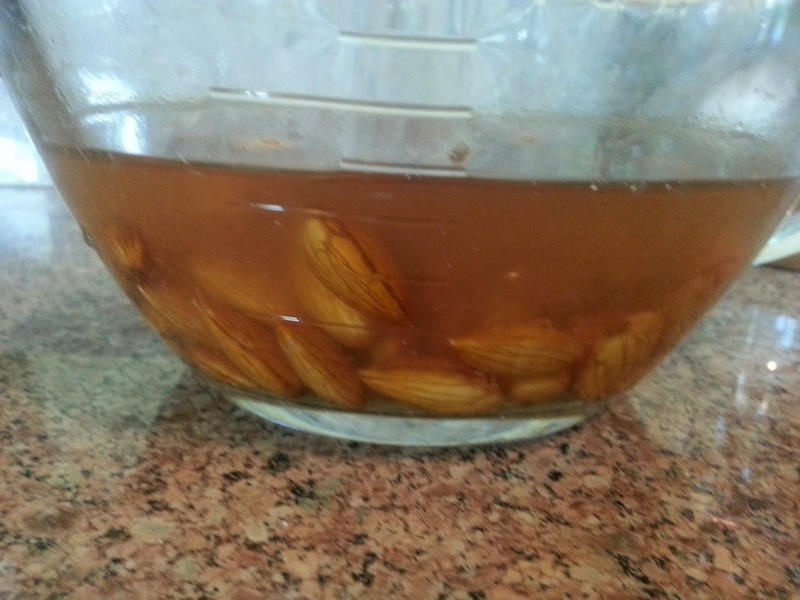 The water washes the tannins away, allowing the almonds to sprout. What this means is that when you eat raw or roasted almonds that have not been soaked, your body isn't able to absorb all the nutrients from the nuts because of the tannnins and inhibitors. Another benefit of soaking is that germination changes the proteins and fats in the almonds, reducing the fat content and making the nutrients easier to digest. Sprouting almonds is also the only way to release lipase, an enzyme which digests fat. And soft almonds are easier to digest anyway. After you have soaked your almonds long enough, be sure to discard the tannin water and then give the nuts a quick rinse. Place the almonds and milk in a blender or food processor. Process until the almonds have been well pulverized. Pour the milk into the paint strainer over a bowl to catch the milk. 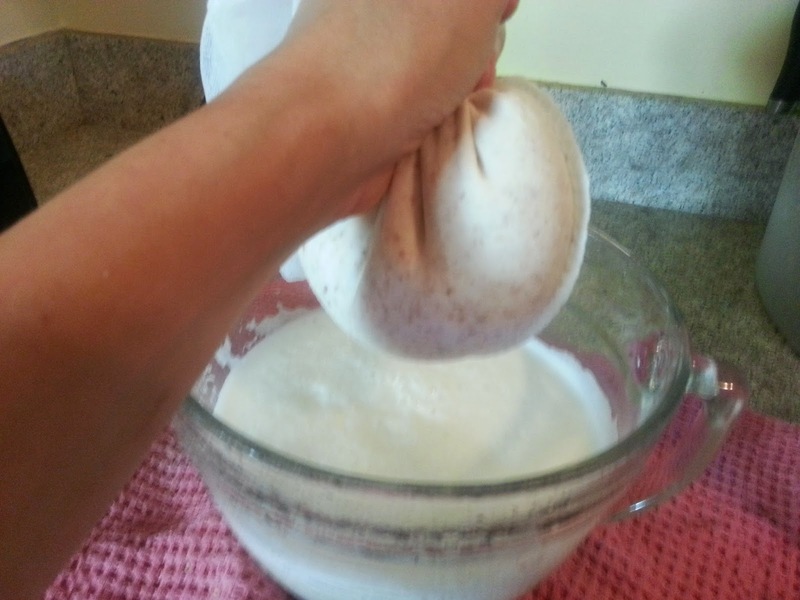 Squeeze out as much milk as you can. Store in a mason jar. 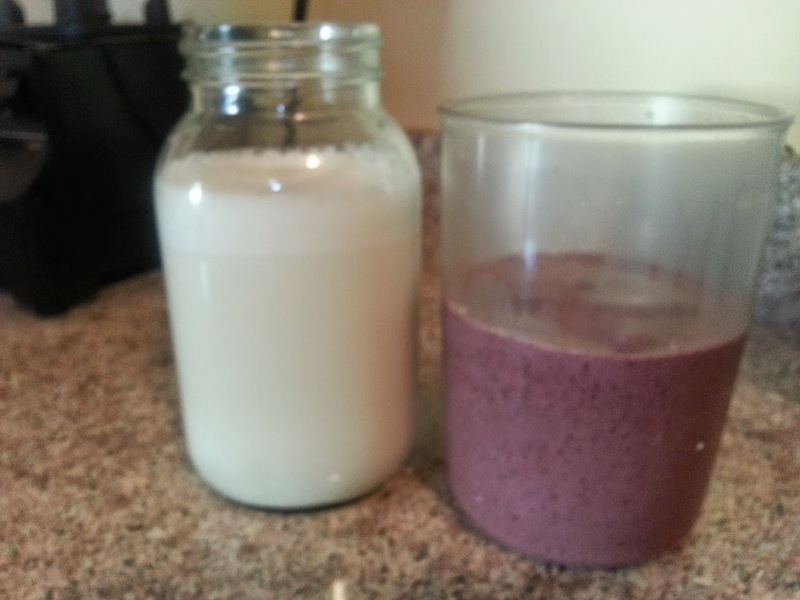 Use the milk within a couple of days because it is not pasteurized and could spoil. You could boil it to pasteurize it and extends its life, but then you will lose the beneficial enzymes. You can add vanilla, cinnamon, or even a sweetener. But I use mine in fruit/veggie smoothies, and so I don't doctor it up at all. 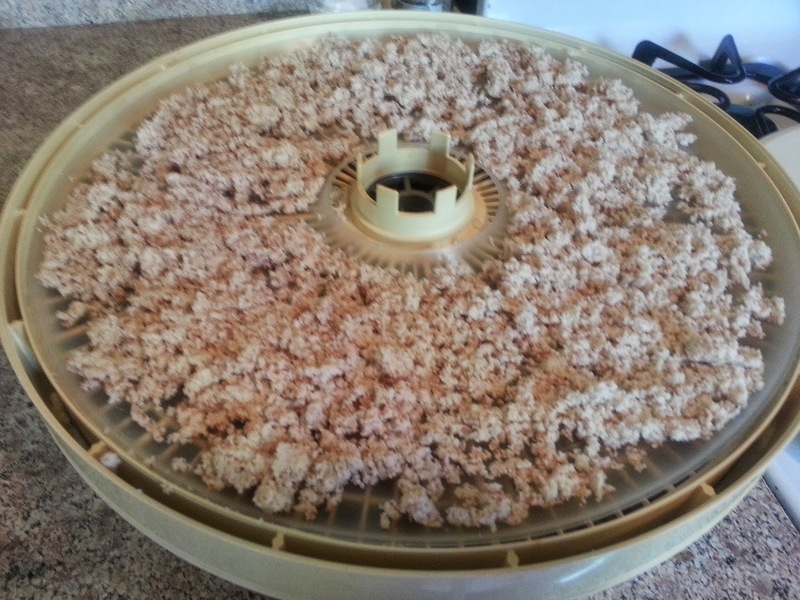 I have a dehydrator, so I take the moist almond meal and dry it out so that I can use it later in baking. See? Not that big a deal. Super simple, healthier, and cheaper than buying the cartons.